Several Japanese investors have seen the slump in the securities market as an opportunity to buy stocks on the cheap in Vietnamese banks. When Tokyo - Mitsubishi UFJ Bank announced plans to buy a stake in Vietnam Joint Stock Commercial Bank for Industry and Trade (Vietinbank), a number of investors saw that Japan had an eye on the financial market in Vietnam. 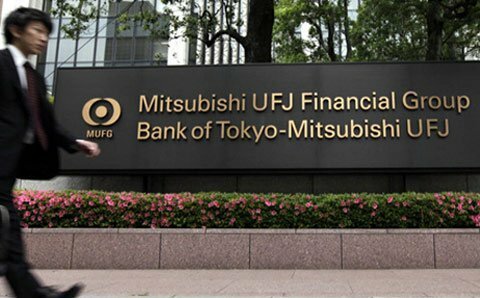 The Tokyo - Mitsubishi UFJ under Tokyo-Mitsubishi UFJ group (MUFG) would like to buy 20% of Vietinbank’s stakes worth USD726 million in the first half of 2013, the Nikkei said. MUFG, currently the biggest lender in Japan, had plans to buy Vietinbank shares at VND22,800 (USD1.1), which is higher than the current market price of VND20,000 each. If the deal is successful, the Japanese bank would potentially have a seat at the table of Vietinbank’s board of directors. Speaking at a press conference on November 3, Pham Huu Phu, the newly-appointed Chairman of Sacombank, said that the bank was considering selling its 15% strategic stake to a foreign partner, possibly from Japan, in early 2013. In 2011, the Mizuho Financial Group spent USD567.3 million (USD347.6 million) for a 15% stake in the Bank for Foreign Trade of Vietnam (Vietcombank). After the deal, Mizuho was become a main strategic partner in Vietcombank and a member of the board of directors. According to an undisclosed source, Mizuho, one of the biggest financial groups in Japan, and in the world, bought Vietcombank’s shares at a price higher than that listed on the Hochiminh Stock Exchange. In 2007, Sumitomo Mitsui Financial Group bought a 15% stake in Vietnam’s Eximbank worth USD225 million. Experts estimated that the market will see more presence of Japanese investors in Vietnamese banks such as BIDV in the time to come. MUFG’s plans to buy Vietinbank’s stake have given evidence of a trend for Japanese investors to pump more capital into Southeast Asian markets, including Vietnam. The move is expected to help Tokyo-Mitsubishi UFJ extend their services to Japanese firms in Vietnam, such as Yamaha Motor and Canon, as well as other Vietnamese partners. As Japanese banking giants see fewer domestic investment opportunities amid economic downturn, they have decided, it seems, to move to other markets in Southeast Asia. Due to economic difficulties, Japanese banks reported a redundancy of around USD2,000 worth of deposits as they failed to lend out. Japanese firms have spent a combined USD83.8 billion on M&A deals in 2012, a record in the market, said Thomson Reuters. Despite current difficulties, several analysts said that Vietnam’s economy will rebound in a long-term, as the Vietnamese Government continues their fiscal policy of reducing bad bank debts from 3%-4% by 2015. More importantly, Japanese investors see that stakes at Vietnamese banks are currently cheap and that this a good time for them to invest. The presence of foreign investors in Vietnamese banks is expected to help enhance confidence in local banks.